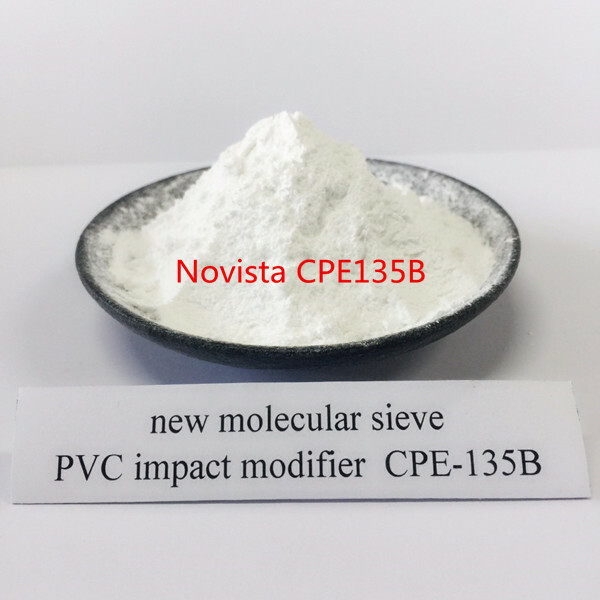 CM135B is a kind of amorphous elastomer with minimal crystal. 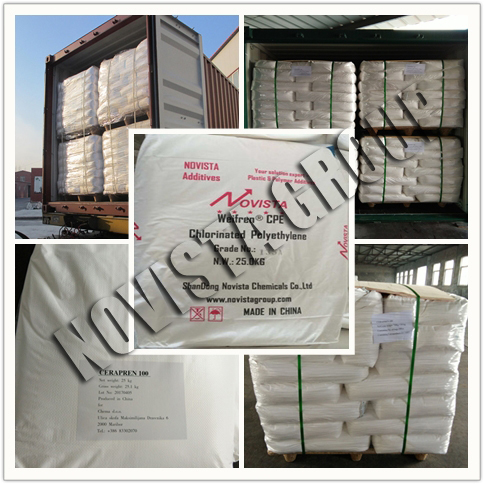 It has moderate and high Mooney viscosity and mastication temperature as well as excellent properties such as good processing property, excellent weathering resistance, good flex resistance and flame resistance. 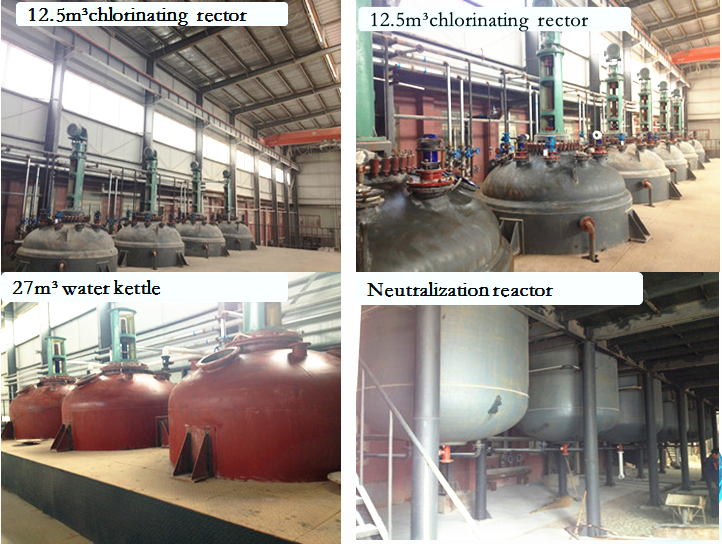 It can be blended with CR, CSM,NBR,EPDM,SBR and NR at any ratio. 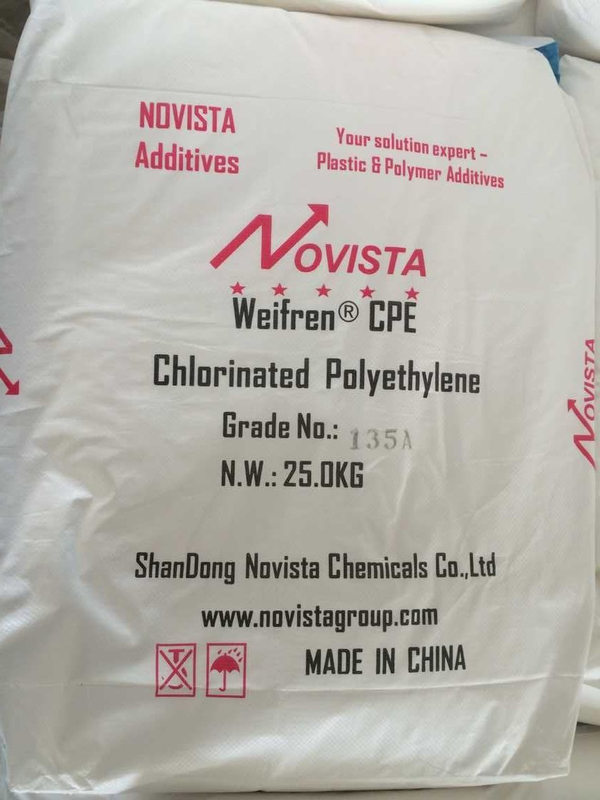 It is widely used for hose, wire / cable and molded products.Not only it can be used as halide rubber solely but also it can be mixed with CR, CSM, NBR, SBR and NR at any proportion. Kept in dry and ventilating place, avoid moisture, insolation and fire. No mix with other chemicals. It is not dangerous cargo .You should handle the material according to the instruction described on MSDS.The MSDS is available from sales department once required.Our regular mark is printed on the surface of package in advance .You should inform our sales person in advance If you don`t need this or have any special demand for mark. 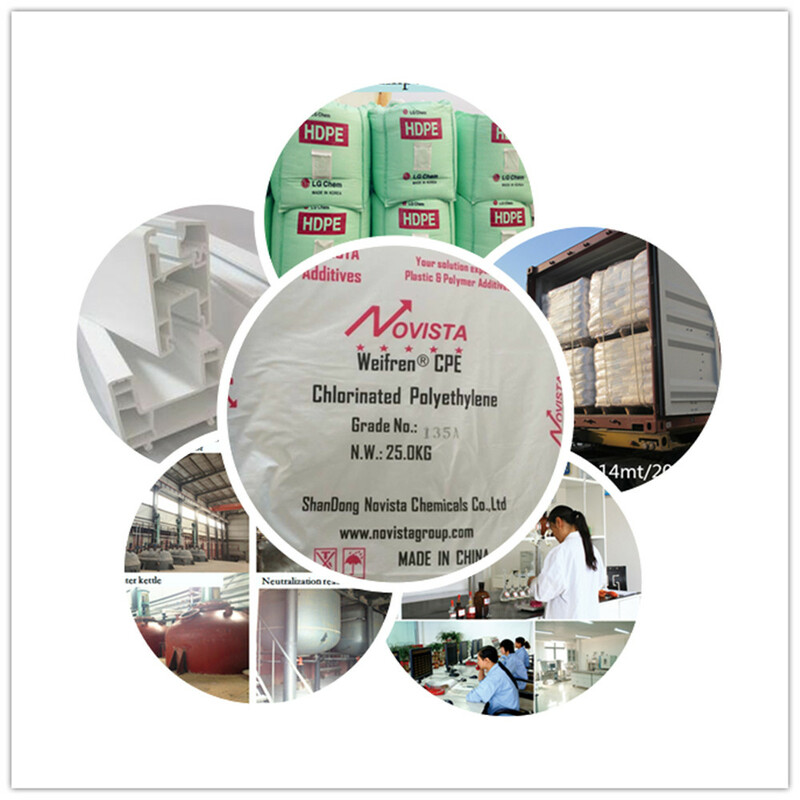 Looking for ideal Chlorinated Polyethylene CM135B Manufacturer & supplier ? We have a wide selection at great prices to help you get creative. 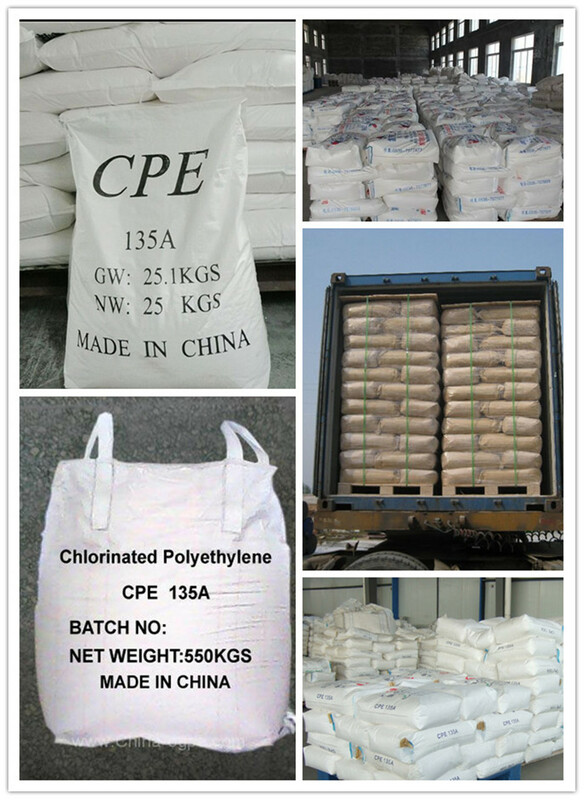 All the CPE135B Powder are quality guaranteed. We are China Origin Factory of Dow CPE135B. If you have any question, please feel free to contact us.